Joel J Osten, D.C., is a chiropractor located in Omaha, NE. Techniques: • Palmer Package • Gonstead • Diversified Take the next step and contact Dr. Joel J Osten, D.C., for a consultation in Omaha, NE or to get more information. Kenneth Koris, D.C., is a chiropractor located in Omaha, NE. Techniques: • Activator Methods • Diversified • Flexion-Distraction • Sacro Occipital Technique • Spinal Biomechanics Take the next step and contact Dr. Kenneth Koris, D.C., for a consultation in Omaha, NE or to get more information. John Geringer, D.C., is a chiropractor located in Omaha, NE. Take the next step and contact Dr. John Geringer, D.C., for a consultation in Omaha, NE or to get more information. Greg Nilius, D.C., is a chiropractor located in Omaha, NE. Techniques: • Diversified • Activator Methods • Sacro Occipital Technique Take the next step and contact Dr. Greg Nilius, D.C., for a consultation in Omaha, NE or to get more information. Dr. Jeffrey Clark, D.C., is a chiropractor located in Omaha, NE. Techniques: • Activator Methods • Diversified • Gonstead • Manual Adjusting • Palmer Package • Thompson Take the next step and contact Dr. Dr. Jeffrey Clark, D.C., for a consultation in Omaha, NE or to get more information. Robbi Long, D.C., is a chiropractor located in Omaha, NE. Take the next step and contact Dr. Robbi Long, D.C., for a consultation in Omaha, NE or to get more information. John F Belitz, D.C., is a chiropractor located in Omaha, NE. Take the next step and contact Dr. John F Belitz, D.C., for a consultation in Omaha, NE or to get more information. Jill N Germer, D.C., is a chiropractor located in Omaha, NE. Techniques: • Diversified • Pro-Adjuster Technology Take the next step and contact Dr. Jill N Germer, D.C., for a consultation in Omaha, NE or to get more information. Ted Japp, D.C., is a chiropractor located in Omaha, NE. Techniques: • Diversified Take the next step and contact Dr. Ted Japp, D.C., for a consultation in Omaha, NE or to get more information. Don M Krogh, D.C., is a chiropractor located in Omaha, NE. Take the next step and contact Dr. Don M Krogh, D.C., for a consultation in Omaha, NE or to get more information. Kevin R Kosak, D.C., is a chiropractor located in Omaha, NE. Techniques: • Diversified • Activator Methods • Specific Prone Take the next step and contact Dr. Kevin R Kosak, D.C., for a consultation in Omaha, NE or to get more information. Nick Crom, D.C., is a chiropractor located in Omaha, NE. Techniques: • Flexion-Distraction • Neuro Muscular Technique • Trigger Point Therapy • NAET • Detox Take the next step and contact Dr. Nick Crom, D.C., for a consultation in Omaha, NE or to get more information. Brian J Brockman, D.C., is a chiropractor located in Omaha, NE. Take the next step and contact Dr. Brian J Brockman, D.C., for a consultation in Omaha, NE or to get more information. Michael W Ward, D.C., is a chiropractor located in Omaha, NE. Techniques: • Gonstead • Diversified Take the next step and contact Dr. Michael W Ward, D.C., for a consultation in Omaha, NE or to get more information. Thomas A Triba, D.C., is a chiropractor located in Omaha, NE. Take the next step and contact Dr. Thomas A Triba, D.C., for a consultation in Omaha, NE or to get more information. C R Dingle, D.C., is a chiropractor located in Omaha, NE. Techniques: • Gonstead Take the next step and contact Dr. C R Dingle, D.C., for a consultation in Omaha, NE or to get more information. Gary A Elsasser, D.C., is a chiropractor located in Omaha, NE. Techniques: • Thompson • Gonstead Take the next step and contact Dr. Gary A Elsasser, D.C., for a consultation in Omaha, NE or to get more information. J Jeffery Malloy, D.C., is a chiropractor located in Omaha, NE. Techniques: • Diversified • Thompson • Cox Take the next step and contact Dr. J Jeffery Malloy, D.C., for a consultation in Omaha, NE or to get more information. Curt E Kunz, D.C., is a chiropractor located in Omaha, NE. Techniques: • Diversified • Gonstead • Chiropractic Biophysics Take the next step and contact Dr. Curt E Kunz, D.C., for a consultation in Omaha, NE or to get more information. Brian Stevens, D.C., is a chiropractor located in Omaha, NE. Take the next step and contact Dr. Brian Stevens, D.C., for a consultation in Omaha, NE or to get more information. Bill Bruening, D.C., is a chiropractor located in Omaha, NE. Techniques: • Gonstead • Manual Adjusting Take the next step and contact Dr. Bill Bruening, D.C., for a consultation in Omaha, NE or to get more information. Drew F. Drummond, D.C., is a chiropractor located in Omaha, NE. Techniques: • NUCCA Take the next step and contact Dr. Drew F. Drummond, D.C., for a consultation in Omaha, NE or to get more information. Edward C Stevens, D.C., is a chiropractor located in Omaha, NE. Techniques: • Gonstead Take the next step and contact Dr. Edward C Stevens, D.C., for a consultation in Omaha, NE or to get more information. Craig B Nelson, D.C., is a chiropractor located in Omaha, NE. Techniques: • Gonstead • Diversified • Flexion-Distraction • Motion Analysis (Palpation) • Manual Adjusting • Traction • Cold Laser Therapy Take the next step and contact Dr. Craig B Nelson, D.C., for a consultation in Omaha, NE or to get more information. Jan A Heese, D.C., is a chiropractor located in Omaha, NE. Techniques: • Sacro Occipital Technique • Diversified Take the next step and contact Dr. Jan A Heese, D.C., for a consultation in Omaha, NE or to get more information. Russ Uttecht, D.C., is a chiropractor located in Omaha, NE. Take the next step and contact Dr. Russ Uttecht, D.C., for a consultation in Omaha, NE or to get more information. Ryan P Goss, D.C., is a chiropractor located in Omaha, NE. Techniques: • Activator Methods • Active Release Technique • Diversified • Gonstead • Palmer Package • Thompson Take the next step and contact Dr. Ryan P Goss, D.C., for a consultation in Omaha, NE or to get more information. John R Amick, D.C., is a chiropractor located in Omaha, NE. Techniques: • Diversified Take the next step and contact Dr. John R Amick, D.C., for a consultation in Omaha, NE or to get more information. Michelle Armstrong, D.C., is a chiropractor located in Omaha, NE. Techniques: • Palmer Package • Diversified • Manual Adjusting • Toggle Recoil • Trigger Point Therapy • Thompson Take the next step and contact Dr. Michelle Armstrong, D.C., for a consultation in Omaha, NE or to get more information. Dane P Becker, D.C., is a chiropractor located in Omaha, NE. Techniques: • Pro-Adjuster Technology • Diversified • Cox • Thompson • Active Release Technique Take the next step and contact Dr. Dane P Becker, D.C., for a consultation in Omaha, NE or to get more information. 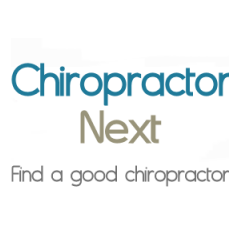 Bruce D Muenster, D.C., is a chiropractor located in Omaha, NE. Techniques: • Gonstead Take the next step and contact Dr. Bruce D Muenster, D.C., for a consultation in Omaha, NE or to get more information. Steven J Weiss, D.C., is a chiropractor located in Omaha, NE. Take the next step and contact Dr. Steven J Weiss, D.C., for a consultation in Omaha, NE or to get more information. Carol Weeks, D.C., is a chiropractor located in Omaha, NE. Take the next step and contact Dr. Carol Weeks, D.C., for a consultation in Omaha, NE or to get more information. Trevor Wagner, D.C., is a chiropractor located in Omaha, NE. Take the next step and contact Dr. Trevor Wagner, D.C., for a consultation in Omaha, NE or to get more information. Jon Paul Schieber, F.A.S.A., D.C.
Jon Paul Schieber, F.A.S.A., D.C., is a chiropractor located in Omaha, NE. Techniques: • Palmer Package • Motion Analysis (Palpation) • Gonstead • Activator Methods • Acupuncture Take the next step and contact Dr. Jon Paul Schieber, F.A.S.A., D.C., for a consultation in Omaha, NE or to get more information. H C Weber, D.C., is a chiropractor located in Omaha, NE. Take the next step and contact Dr. H C Weber, D.C., for a consultation in Omaha, NE or to get more information. Heidi Kosak, D.C., is a chiropractor located in Omaha, NE. Take the next step and contact Dr. Heidi Kosak, D.C., for a consultation in Omaha, NE or to get more information. Kristine Simonson, D.C., is a chiropractor located in Omaha, NE. Take the next step and contact Dr. Kristine Simonson, D.C., for a consultation in Omaha, NE or to get more information. Richard Steskal, D.C., is a chiropractor located in Omaha, NE. Take the next step and contact Dr. Richard Steskal, D.C., for a consultation in Omaha, NE or to get more information. Dave Jones, D.C., is a chiropractor located in Omaha, NE. Take the next step and contact Dr. Dave Jones, D.C., for a consultation in Omaha, NE or to get more information. John B Sempek, D.C., is a chiropractor located in Omaha, NE. Techniques: • Gonstead • Cox Take the next step and contact Dr. John B Sempek, D.C., for a consultation in Omaha, NE or to get more information. Marshall Jacobs, D.C., is a chiropractor located in Omaha, NE. Techniques: • Diversified • Gonstead Take the next step and contact Dr. Marshall Jacobs, D.C., for a consultation in Omaha, NE or to get more information. Mark G Wurth, D.C., is a chiropractor located in Omaha, NE. Take the next step and contact Dr. Mark G Wurth, D.C., for a consultation in Omaha, NE or to get more information. K B Smith, D.C., is a chiropractor located in Omaha, NE. Techniques: • Gonstead Take the next step and contact Dr. K B Smith, D.C., for a consultation in Omaha, NE or to get more information. David Blum, D.C., is a chiropractor located in Omaha, NE. Techniques: • Gonstead • Diversified Take the next step and contact Dr. David Blum, D.C., for a consultation in Omaha, NE or to get more information.